This year Dale Watson joins the fun on Friday night with the “Give Me More Kisses” dance. Tickets are available for the entire event which includes a camping pass and tickets to both shows or purchase a ticket for just the shows, no camping. A special Sunday afternoon tribute to Johnny Cash with Thomas Michael Riley is also scheduled from 1 to 5 pm – no cover charge. Tickets for the entire weekend are $40. Dale Watson’s show ticket is $15. Gary P. Nunn’s show ticket is $20. 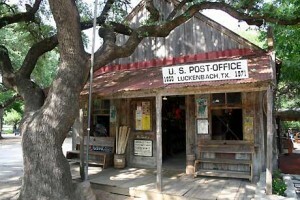 The Valentine Ball with Gary P. Nunn will begin at 9 pm in the World Famous Luckenbach Dance Hall on Saturday night. Advance tickets are available online. $35 camping and dance or $20 dance only. On RR 1376 off Highway 290 East. (830)997-3224.